"I remember when stat's didn't even matter...all i wanted was a blog post comment!" Grab yourself a cuppa and your favourite notebook and pen! It's time to remind yourself why you started your blog and how it made you feel? Your first ever blog comment or making a blogger friend for life - Write it all down and absorb the positivity. Write down three things you love about your blog and three things you would like to improve. This is a great way to view your blog in a more rational way. It's sometimes easy to feel overwhelmed and un-balanced, but matching the good with what needs to be improved is definitely a positive start when looking to get your blogging mojo back! Taking a break is so important for many reasons! There is only so long you can function under pressure before you start to feel overwhelmed. Taking a break in the blogosphere can sometimes be a scary thought, especially with the speed that it's growing. Thoughts may run through your head like "Will my followers stop reading my blog" Or "Will I get left behind". The best thing to do is accept any negative thoughts and then dismiss them shortly after; it’s a lot easier to move on from negativity if you can accept it. Taking a break is the very best remedy for making sure you don't completely fall out of love with your blog! You most probably started your blog because you wanted to share a topic close to your heart. Once you start to compare yourself to other blogs your focus shifts and your mind-set becomes saturated with everything but the real reason you started your blog. Your voice is just as important as anyone else’s and your game plan is the very best one to stick too! Sometimes it's best to take time away from your computer when crafting your content, as it can help to keep your focus on what you really want to talk about! Blogging is such a great community and one that can be really empowering! Getting re-connected with bloggers, chats and various projects can definitley help to boost your confidence. It's easy to get too involved in trying to stay on the ball when it comes to blogging and it can easily start to feel lonely! Take 10 minutes to comment on a few of your favourite blog posts, or connect with new people, Is there someone on your Twitter feed who always makes you smile? If so let them know! 6 - Brainstorm New Ideas/ Learn Something New! If you're in a bit of a blogging rut, then why not audit your blog? Take a little look down memory lane and look for content that had a good response and what content you felt proud of and inspired by? Once you have come to a few conclusions, try creating a mood board with new Ideas that you would like to see come to life on your blog. Also, why not try learning something NEW? Experiment with a new platform to offer a different variety of content (Snapchat/Periscope) as examples. 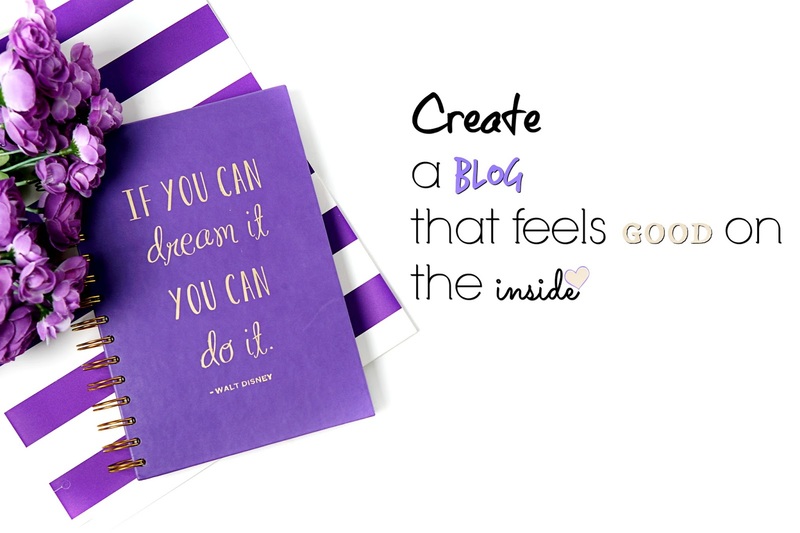 or look to create more collaborative content with other bloggers, who can bring their thoughts to your blog. I would love to hear from you lovelies below - Do you have any tips on how to keep your blogging mojo? It honestly means the world when I hear from you and hopefully this post has been useful. I feel over the last year or so blogging has become a pressured community. All trying to outdo each other. Healthy competition is great, but it's important to remember it's not all about the numbers. And yeah, we need to remember why we started. Great post lovely. Love the tips especially since I've been off myself with blogging. Really inspiring though! Thanks for such a great post! I completely agree - it's so important to go back to your why! It's so easy to get bugged down in stats. I'd love to know more about how you use mood boards for new ideas! I'm with you on the comparison train, I'm working hard to stop doing this myself. I loved reading this post, it has definitely given me some inspiration and motivation to work even harder on my blog.